Don’t miss your chance to enter to win this giveaway! Entering is easy, just enter your email address and cross your fingers! 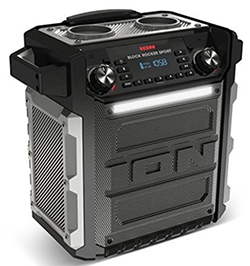 You can’t win if you don’t enter so head on over to the Just Free Stuff All-Weather Rechargeable Speaker Radio Giveaway for your chance to win! Publishers Clearing House | Win $1,000.00 a Day for Life!